While I was looking for a Paddy’s Day recipe I stumbled across this brownies recipe on Pinterest. A friend posted it and all I thought was “Oh my gosh!” Guinness, in a brownie? Yes please! 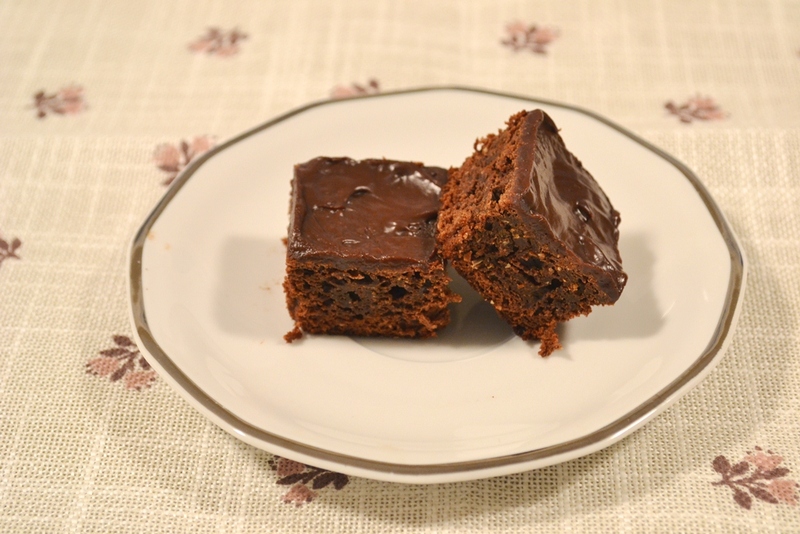 The pictures were just too inviting, especially since it looked like the brownie I wanted to make. You know, all gooey in the centre. I found the original recipe here. 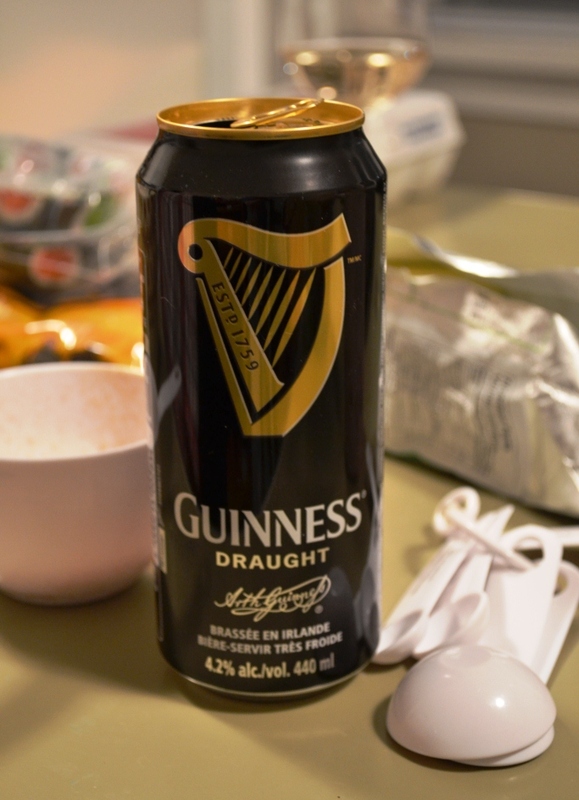 The main ingredients though is not Guinness, it is black beans. You read that right, it is the substitute for the butter. I mean, even better, no butter means less calories, although, the Guinness will add some to it again. But we all know that baking is not a calorie friendly trade so whatever. Those Guinness Brownies just looked too good not to try them. Take the can of black beans and drain them in a strainer. Let water run over them until that is clear. Then put them back in the can and fill with water. You are suppose to puree them but I would recommend you do that in a bigger bowl or high container. The can will give you not much space to puree. Set aside. This is obviously a main ingredient. Take a big bowl and combine all other ingredients then add the black bean puree and mix with a spoon until just combined. You don’t want to over mix. Pour the batter into a baking pan of your choice (recommended is 9×13) or even muffin tins work (lined with paper, greased or silicon ones). These are the liners I used, made some big but yummy brownies. Bake at 180°C for about 25 min then take them out and let the pan cool before you cut them up. Tip 2: I didn’t use all the sugar as I find it too much. I almost always omit sugar from North American recipes. Also, I don’t like coffee so my recipes only got one teaspoon. Tip 3: I had brownie liners from SweetArt Supplies (separate review will follow) and they worked great with this. 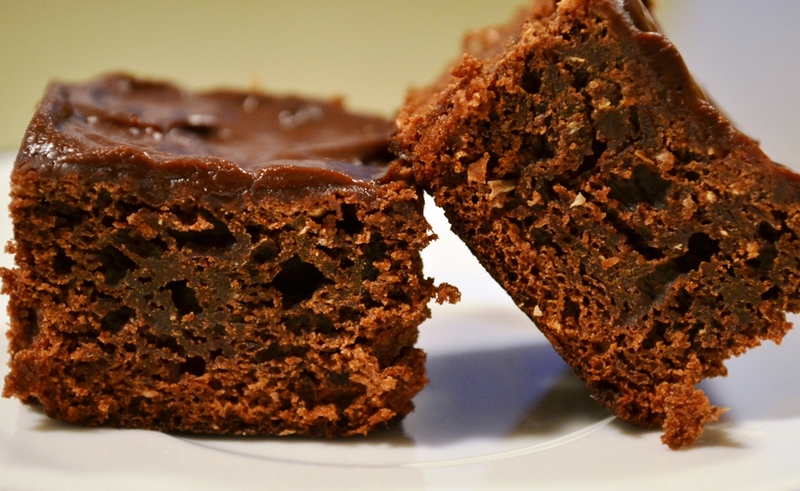 These brownies need nothing else, they are gooey and chocolaty and everything you want in a brownie. 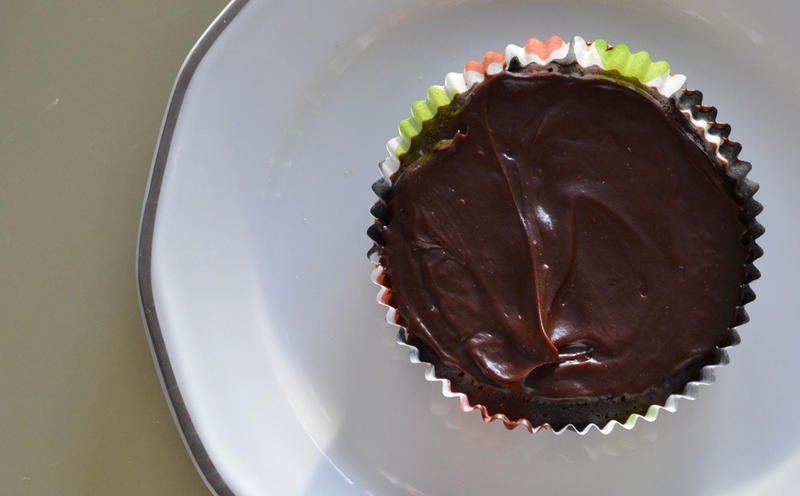 But I had Whisky ganache left over from the Guinness Cupcakes so I couldn’t resist and spread that on top. *oh my* That just tops it off with deliciousness. Posted in Little Treats and tagged baking, black beans, brownies, chocolate, gooey, Guinness, Irish, recipe. Bookmark the permalink. The original recipe says 9×13 pan. 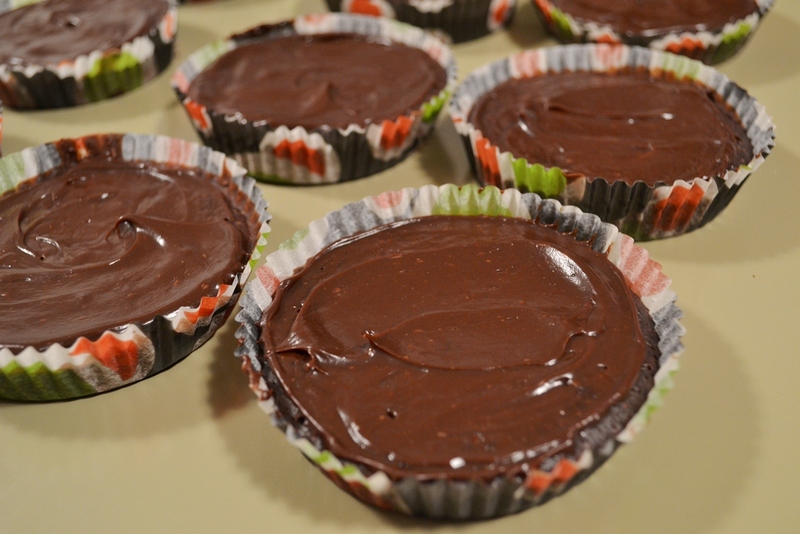 I used brownie liners, which are flat and wide. More pictures will follow.